It may not be difficult at all to get ready for the gym, but still, there are some essential things that you shouldn’t miss taking with you. The right gym clothes are of course a must-have and once you finish reading this article, you will find the other gym essentials you should pack in your gym bag. Shower things – After you are done with the workout, you will, of course, love to take a shower. Most gyms provide with basic shampoo and conditioner, but yet there are many other things you should have. Such things are shower shoes, razor, body wash as well as a towel, so don’t miss to take them with you. Clothes to change after – After the shower, you won’t be able to put on your sweaty gym clothes, so make sure to take clean clothes to change after. Extra underwear and extra socks are of course a must. Bottle of water – You should stay hydrated before, during and after your workout, so make sure to take some water with you any time you go to the gym. Protein bar/ protein shake – If you aren’t going home straight after the gym to take the needed post-workout meal, you can at least grab a protein bar or a protein shake, to keep you full. Hair accessories – A hair dryer, a brush, hair products, and hair ties, are just some of the many accessories you will need to style your hair after taking the shower. Headphones – Music can keep you going, so don’t forget to take a pair of headphones with you. Play on your favorite music and enjoy the workout fully. Band-aids – Hopefully you won’t need them, but blisters can occur, so you may be prepared with a small package of band-aids. Plastic bags – Don’t forget to take some to put in the wet towel and dirty clothes and thus prevent the unpleasant odor. 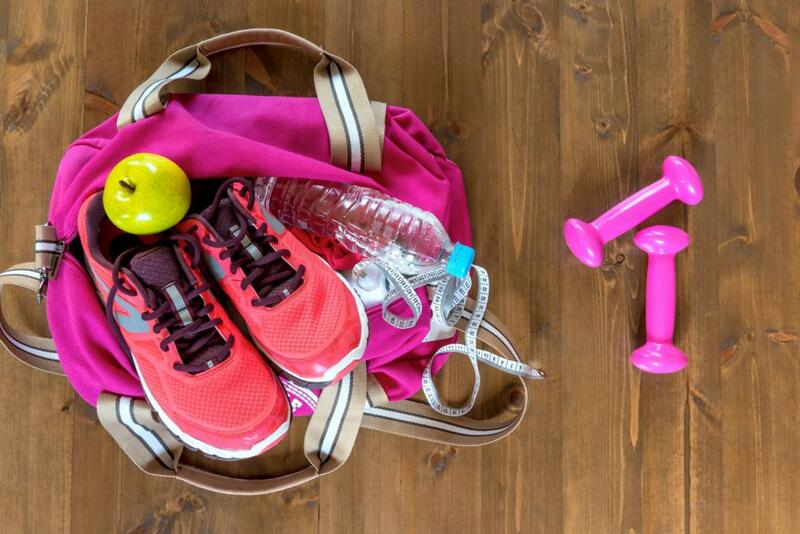 The above things are essential ones when going to the gym, so make sure you always pack them in your gym bag. And of course, don’t forget to take your motivation and willingness to give the best of you.